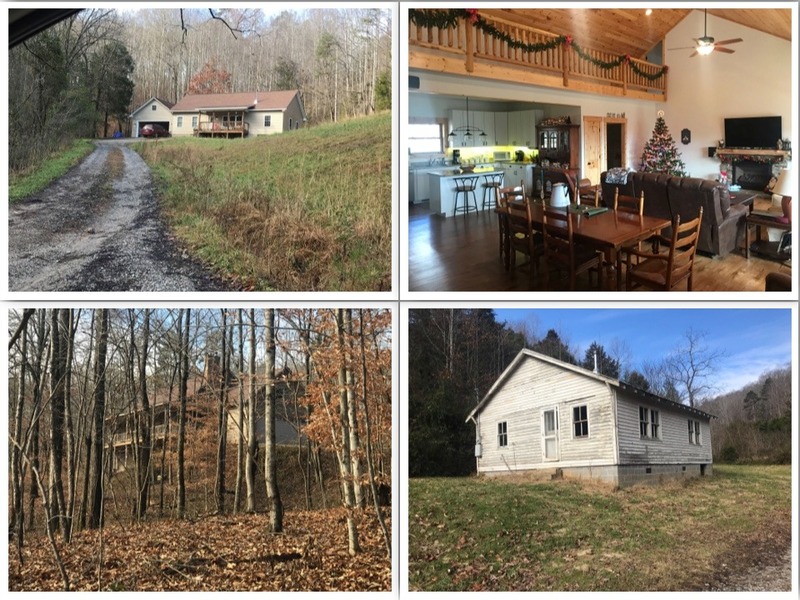 575 & 573 Russell Rd, Sharps Chapel, Tennessee, 37866 - Photos, Videos & More! Amazing 50 acre self-sufficient homestead with 2 homes and tons of privacy! 10 stall horse barn with hay loft, goat barn, wood shed (full),raised & irrigated garden beds, irrigated corn and potato field, grapes, figs plus multiple & rare American chestnut trees all convey along with many more features. There are 4 natural springs providing endless water, a pond, waterfall and creek are included and deer & turkey are plentiful. The main house was built in 2015 with high quality workmanship and includes a wood furnace, 3 heat pumps, and a gas fireplace. Other great features include the master on main, open concept living, kitchen and dining room with gorgeous tongue in groove cathedral ceilings, full finished walkout basement with workshop, tons of storage and much more! Sit on the expansive covered front porch and enjoy mountain views, wildlife and privacy. Lake access is just minutes away. No HOA and extremely low property taxes!